Cybersite Hong Bao Promo come again! One year one times only! 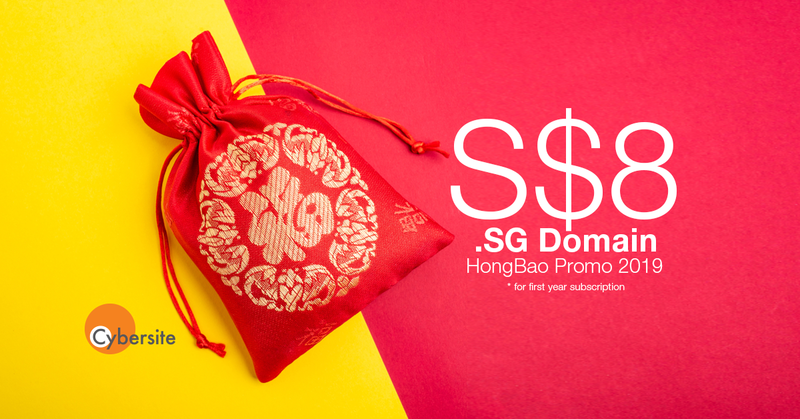 .SG Domain only need S$8 now! Still think worth to purchase or not? Don't think about it, it worth! For more details, please visit our website to know more details: http://bit.ly/2V6zJ4a.